Our highly trained staff has developed a deep experience base over time when it comes to fixing client’s auto glass. We have worked on just about every make and model of both foreign and domestic automobile that you can think of and it is rare that we encounter a situation that cannot be handled by the team on-site with the materials they have on hand. Our fully equipped mobile repair trucks come fully stocked and ready for all contingencies. Our company also goes to great effort to make sure that all of our mobile technicians are appropriately bonded, licensed, and insured to work in your preferred location in Yorba Linda and Orange County. Not all auto glass companies go to this effort to minimize their customer’s risk, but we want to ensure you are 100% comfortable with our team. 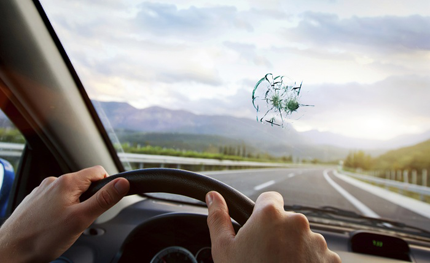 All of our work comes backed by one of the best warranties in the business, and you will never have to worry about dealing with issues that might arise with new or repaired auto glass after our team calls the job complete. If you have any questions regarding our services, please give us a call today. All of our staff is extremely knowledgeable when it comes to auto glass services and what limitations we have when it comes to repairs, and we are always glad to answer questions. Our company policy is to always provide a free estimate on request, and we look forward to serving you.